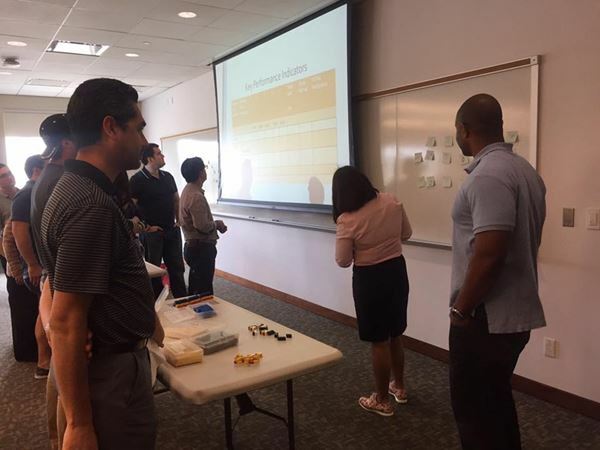 AIA partnered with STS Inc. (Transformations Made Simple), a local Houston company that provides companies with training, coaching, and mentoring, on providing AIA members with Six Sigma yellow belt training at a price below 20% of the market cost. The training by STS Inc. is hosted by certified master black belt trainer Sandra Estrada. AIA could not have done this without her support. We're looking forward to providing our members with Six Sigma training on an annual basis through our partnership with STS Inc.
Below are photos taken of the 2017 Six Sigma training session held at the University of Houston main campus. The Association of Industry Analytics is a 501(c)3 non-profit organization.